One suspect has been arrested and several people are being questioned in connection with a police raid at a house near the Apia town area. 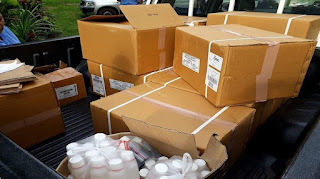 Stolen pharmaceutical goods were confiscated from the house after Samoa Police executed a search warrant Wednesday. The goods included commercial size quantities of control pills. These pharmaceutical items are suspected for use in the manufacture of the illegal drug methamphetamine or ice. One person has been arrested with the possibility of more people arrested as police investigation continues. Police have thanked the public for supporting their work in trying to keep Samoa safe and free of illicit drugs. The Customs Office and the Health Department helped police in the search for these stolen items.